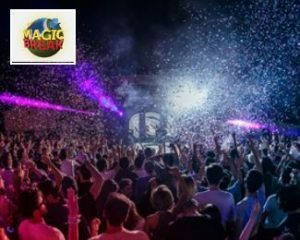 Magic Break is an electronic music festival in Turkey, held inside the five-star, all-inclusive Pegasos Resort Hotel near Alanya. Spread across three days, festival-goers will party to EDM, house and techno beside the resort’s refreshing pool, on its lush beaches and amongst the beautiful coastal views. But Magic Break is much more than just a music festival, embracing all aspects of the ultimate summer holiday. That means jet skiing, water skiing, beach volleyball and pool sports are just as much part of the three days, as well as all-you-can-eat buffets and drink on tap.